Are you having problems with your teeth alignment but do not want to be stuck with nasty metal braces? Now, you can straighten teeth without having to endure that geeky look and the excruciating mouth sores with Invisalign Clear Braces provided at our Boise office. Invasalign Clear Braces work very much like the traditional braces to straighten teeth only that it is made of plastic. Invisalign Clear Braces are barely noticeable, and can be easily removed when eating or whenever necessary. Also, unlike metal braces, our patients in the Meridian and Eagle ID area can now straighten teeth while still eating virtually anything. Invisalign clear braces have soft edges and points so you do not have to be worried about bothersome mouth source. Since it is removable, there will be no need for the cumbersome cleaning regimen for both the teeth and braces. Our Invsalign Clear Braces are ideal for busy people in the Boise area who need to straighten teeth in a hurry because of their low maintenance. Compared to traditional metal braces that require frequent visits to the dentists for readjustments, Invisalign clear braces only need you to have check -ups every four to six weeks to our office near Eagle ID. As much as we’d like to make it the solution for all our patients in the Meridian ID and Boise area that have misaligned teeth, it has its limitations. At present, it is commonly used for cases of gapped teeth, overbite, underbite, crossed bite, open bite and overly crowded teeth. 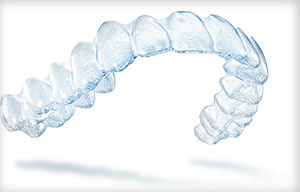 Severe cases may not be adequately addressed by the Invisalign Clear Braces. Blaisdell Family Dentistry in Boise is one of the most highly recommended practitioners of cosmetic dentistry. The team is headed by the very competent Dr. Lynn Blaisdell, who is an Instructor at the KOIS Center, and Dr. Craig Blaisdell, who is working on advanced dental studies at the KOIS Center. If you are having trouble with your misaligned teeth and are seeking for a good solution to straighten teeth in Boise, then consider getting Invisalign Clear Braces. Ask about our pain free sedation dentistry for those who have a fear of the dentist which has helped many of our Meridian ID area patients. Contact our office near Meridian and Eagle ID now for a consultation.